The decision was announced by State Department spokeswoman Heather Nauert, who said Pakistan needs to take decisive action when it comes to terror activities and how it plans to crack down on it. Just a few days ago, the Donald Trump administration withheld $255 million military aid to Pakistan and said that things would stay that way until the country took action against the jihadists, militants and local terror outfits on its soil. And in a fresh blow, the United States has suspended the entire security aid it provides to Pakistan as the Asian country fails to crack down on terror activities. The decision was announced by State Department spokeswoman Heather Nauert, who said Pakistan needs to take "decisive action" when it comes to terror activities and how it plans to crack down on it. "Today we can confirm that we are suspending ... security assistance only to Pakistan at this time until the Pakistani government takes decisive action against groups including the Afghan Taliban and the Haqqani network. We consider them to be destabilizing the region and also targeting U.S. personnel," Nauert said during a news briefing, according to Reuters. She did not reveal the exact amount of this aid and said that she couldn't reveal the figure as the administration was still calculating the amount. However, the figure is expected to be as much as $1.3 billion. Speaking of US-Pakistan relations, Nauert added: "No partnership can survive a country's harboring of militants and terrorists who target U.S. service members and officials." She also explained what the suspension entails and said that the US will not be providing military equipment to Islamabad unless required there is a legal requirement. "There may be some exemptions that are made on a case-by-case basis, if they're determined to be critical to national security interests." Relations between the United States and Pakistan have taken quite a hit in the last few months after Islamabad has brazenly been ignoring the US' demands that the country raises its efforts to fight terror activities and stop providing "safe havens" to terrorists. And now Pakistan is clearly bearing the brunt of this ignorance. The US has been irked with the country since October when Pakistan had freed a Canadian-American family captured by militants. In the process, the forces had also captured one of the militants, who is a Haqqani Network operative. The US had then asked Pakistan to hand over the operative to the US, but the former had blatantly refused to oblige, clearly rubbing the US the wrong way. The operative is important to the country as the Haqqani Network is known to have caused a large number of casualties on the US-led coalition in Afghanistan. 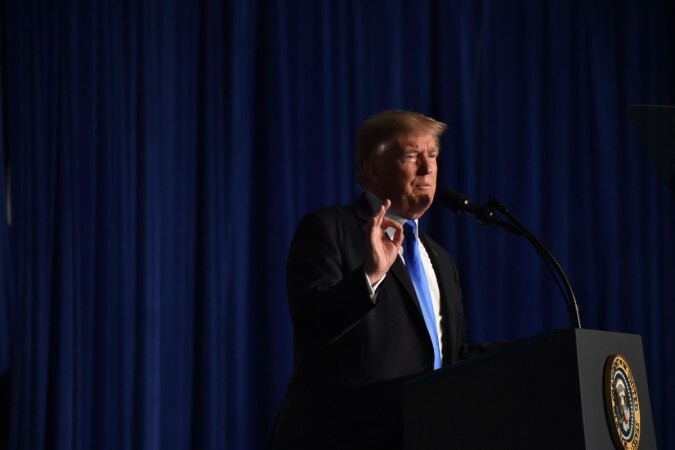 President Donald Trump has been insisting that Pakistan clean up its act for a while now and had earlier also threatened to penalise the nation for not taking the necessary steps when it comes to fighting terror. Making matters worse, it has recently come to light that terror group Islamic State of Iraq and Syria (ISIS) has been outsourcing terror attacks to outfits in Pakistan to carry out attacks in the country. In an article published on the website of Gatestone Institute, an international policy council and think tank in New York, Islamabad-based journalist Kaswar Klasra has said that ISIS will continue to carry out attacks, itself or through other outfits such as Lashkar-i-Jhangvi, Jamaat-ul-Ahrar and the Taliban, unless Pakistan takes them to task, reported ANI.